‘I would love to take my wife of 28 years on a luxury cruise, for although our hair is turning silver, we still have the spirit.’ This was the playful response to our question ‘why do you deserve a luxury cruise?’ that earned competition winner Nigel Keogh a luxury cruise onboard Silver Spirit, with Silversea. Back from his surprise seven-day sailing, we caught up with Nigel to find out about his experience. The exciting cruise took Nigel and his wife to six different destinations, across three Mediterranean countries: Italy, France, and Spain. Read on to find out what they thought about the itinerary and the ship itself. What did they do on the cruise? 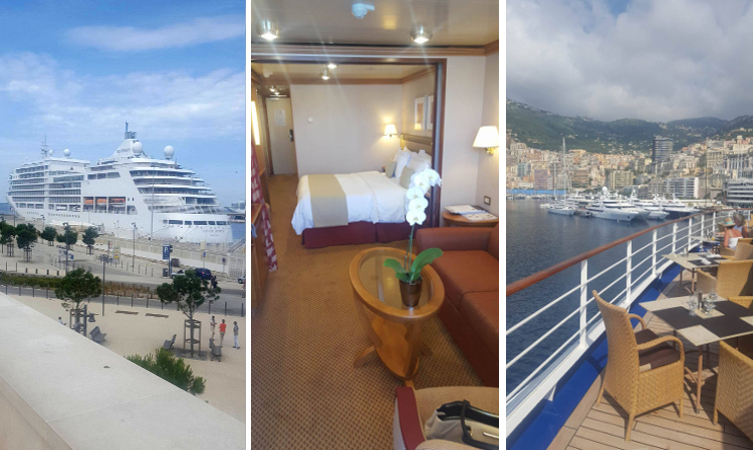 Day 1 – The pair boarded Silver Spirit in Rome, and spent the day exploring the ship and relaxing before enjoying a delicious meal onboard. 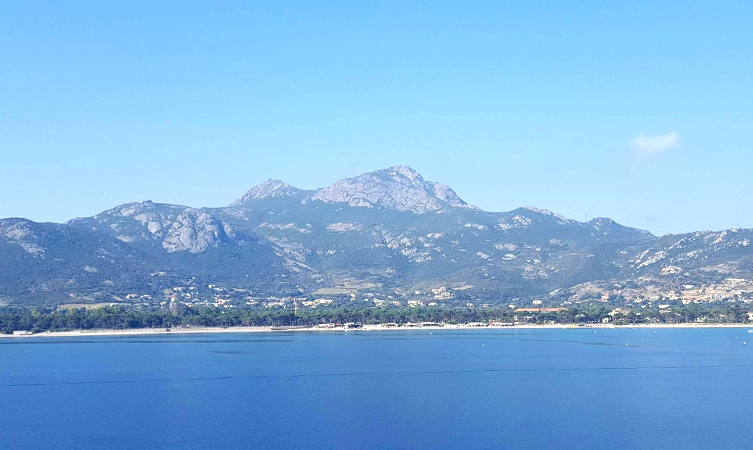 "The ship was immaculate and the crew were very welcoming"
Day 2 – Silver Spirit arrived at Corsica in the morning, and guests had the day to wander around and discover the pretty landscapes and traditional Mediterranean style buildings on the island. Day 3 – Next stop was Livorno, Italy. Here Nigel and his wife spent the day walking round the city, taking in the endless impressive sights it has to offer. Day 4 – In Monaco, they took an open top city bus tour, to better discover the luxurious and opulent features of one of Europe’s favourite tourist destinations. Day 5 – After these action-packed days, Nigel and his wife opted for a more chilled day in Antibes, France, relaxing onboard but venturing into town for lunch. Today they were able to truly unwind, and mentioned how they loved that they could ‘always find somewhere nice to relax’ onboard. "You can always find somewhere nice to relax"
"The food and wine was wonderful, and The Grill was great fun!" Day 6 – Making the most of their time, in Marseille the pair not only explored on foot, but also paid a visit to a few museums, and took a ride on the city’s brilliant big wheel. Day 7 – Their final day was spent in beautiful Barcelona, where the couple explored the city and enjoyed a special last lunch on the infamous, pedestrianised street: Las Ramblas. What did they think of the ship? "Nothing was too much trouble for the crew, they were all brilliant. Marlon our butler and Grace our room attendant did a fantastic job. In the Panorama Lounge [the waiters] really looked after us." Not only this, but Nigel and his wife hugely enjoyed the food and wine onboard Silver Spirit, in conjunction with the brilliant performances and entertainment onboard, meant that each night was a memorable one. "Loved the shows! The performances were superb [with a] brilliant cast and arrangements"
Overjoyed with the warm reception, wonderful facilities, and fun-filled itinerary, our winners were certainly delighted with their unexpected cruise holiday, and commented on how impressed they were with the faultless service of this luxury cruise line. "Each and every day we returned to a truly amazing ship, and enjoyed wonderful entertainment and hospitality. My wife and I cannot thank Silversea enough for the fantastic holiday – we have both enjoyed it so much"
Find out more about cruising with Silversea, and like us on Facebook to hear about our future competitions! Make sure you check our Planet Cruise competition page to find out about all current competitions.